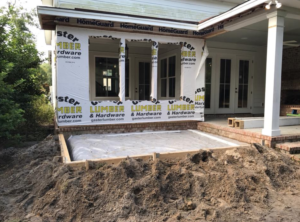 Schedule your Wilmington Island structural repairs with American Craftsman Renovations! We are a locally owned, family operated general contracting firm that is committed to ensuring your home is repaired the right way, the first time, creating a save living environment for you and your family. We work with all types of structures and their issues, from repairing your foundation or siding to patching a leaky roof. You don’t want to trust just anyone with repairing your home and its foundation or structure. We are a locally owned and operated general contracting firm that is extremely familiar with Savannah structures. Give us a call today for more information on getting your home repaired the right way, the first time.